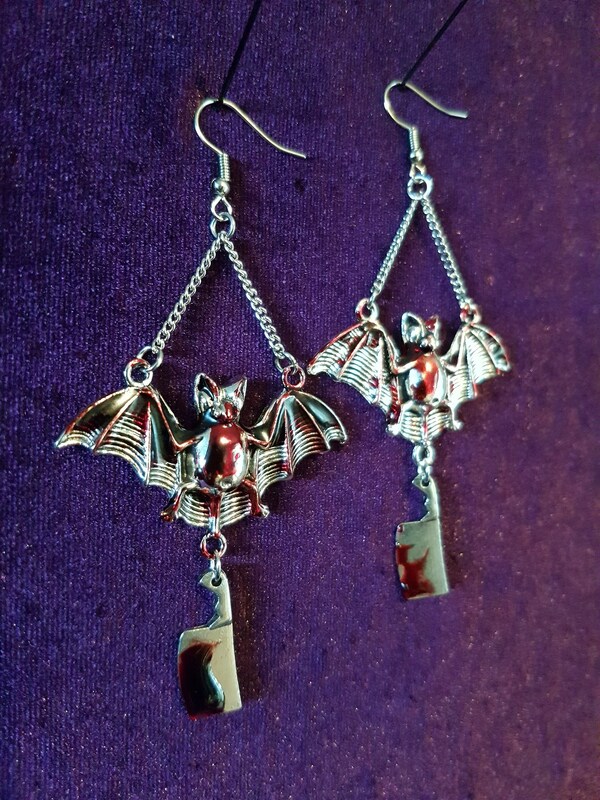 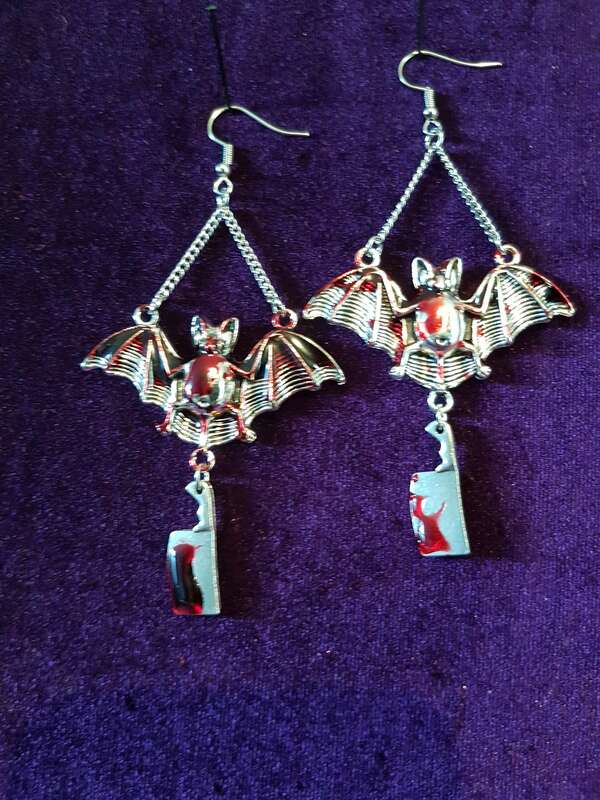 Handcrafted Horror Earrings made with blood red resin. 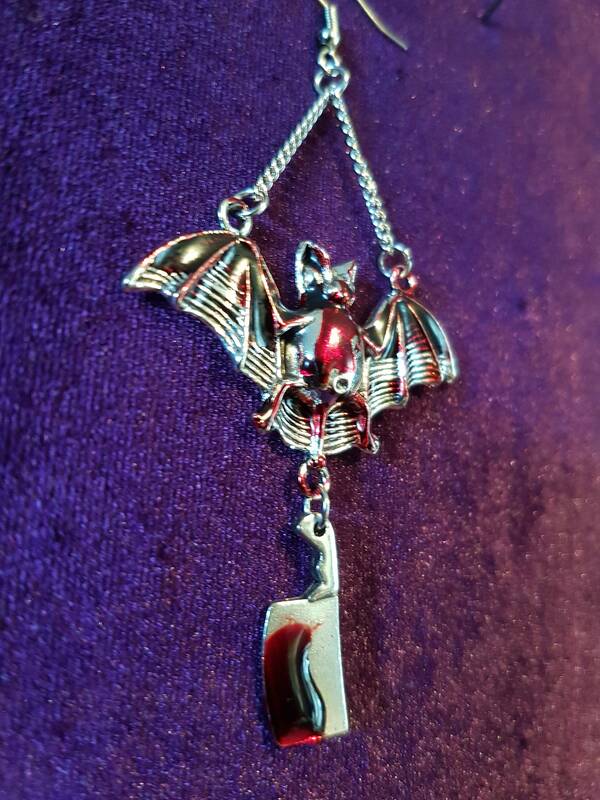 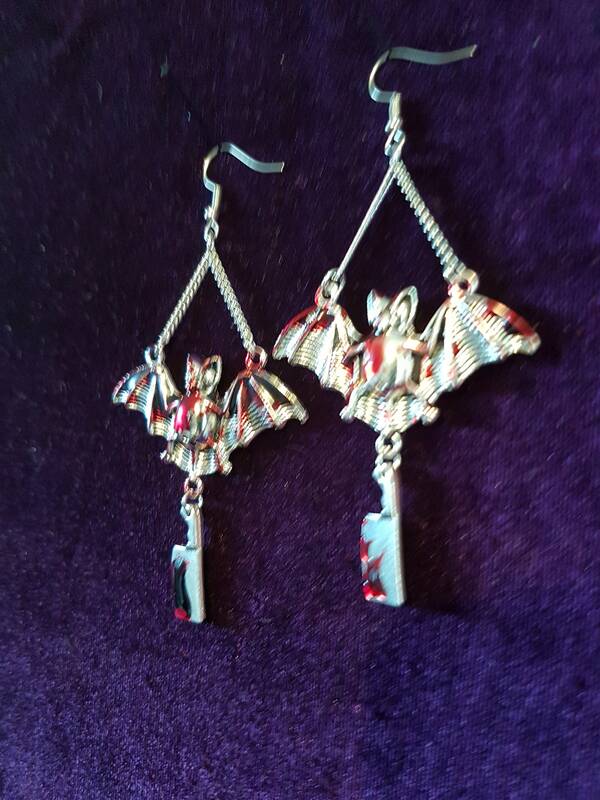 - Silver colour cleaver, chain & bats. 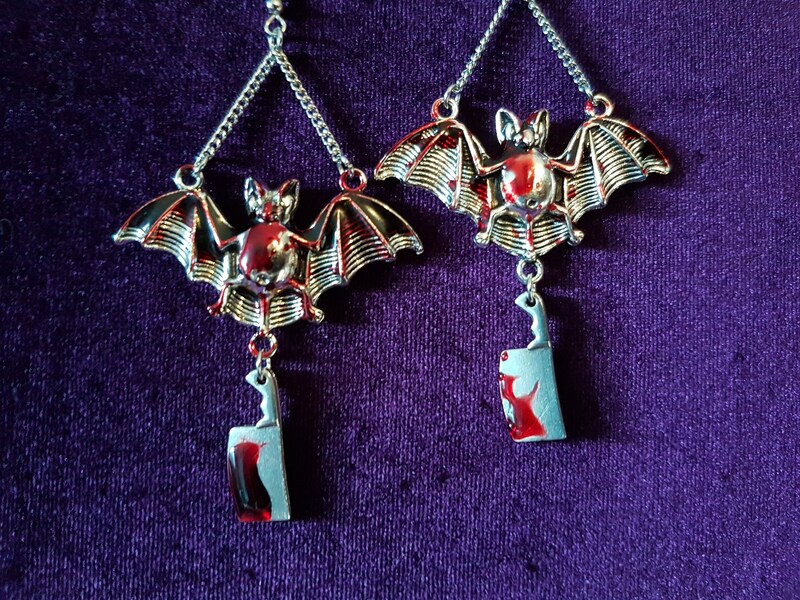 - Blood Red Resin droplets. 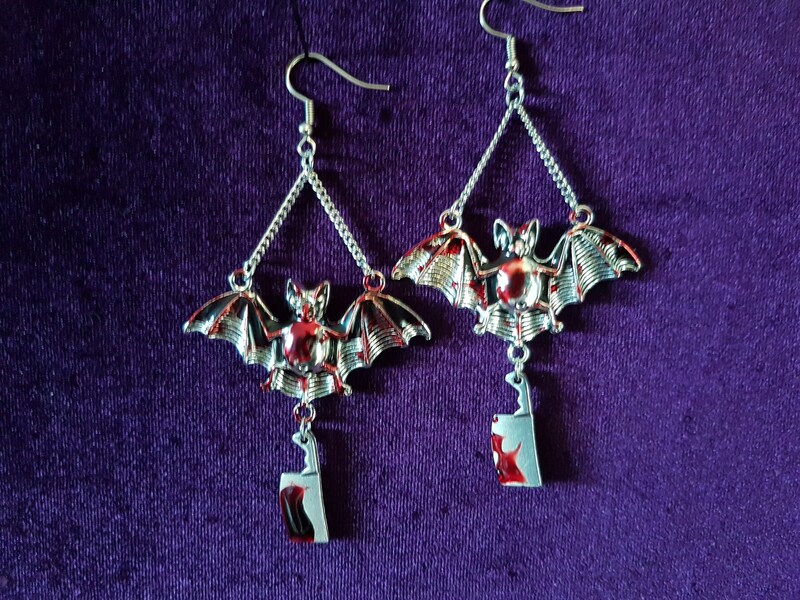 # Every pair of earrings is very unique due the use of resin. 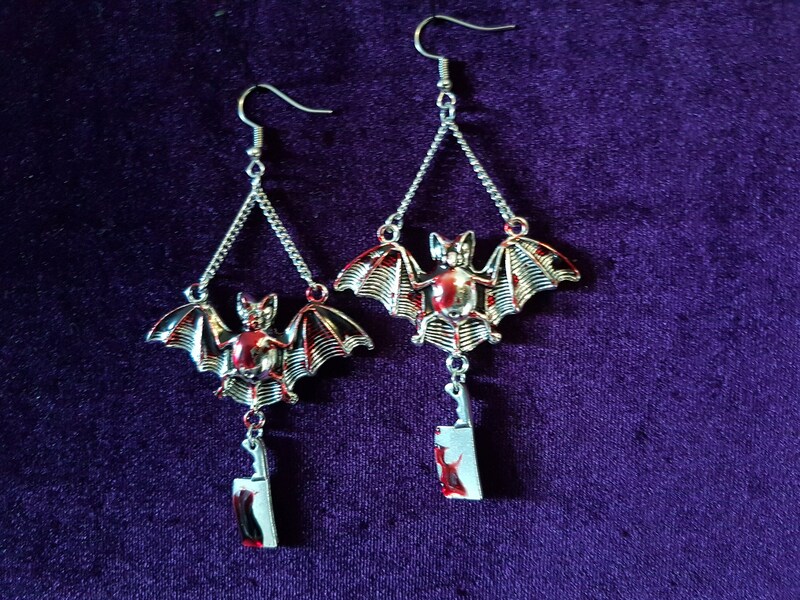 Each pair can slightly vary from the pictures.